The following instructions should be followed to publish the work with the Taleemat. o Affiliation (department, university, city, and country). The affiliation should be of the place where the research was conducted. Review Process: Manuscripts submitted to the Taleemat are reviewed through blind peer-review process. Upon submission, the manuscripts are firstly reviewed by the editors. If it has the potential under the scope of the journal then it is further sent to the relevant subject experts. Upon the reviewers’ comments authors will be informed about the report. 1. Authors submitting manuscripts to the Taleemat should furnish a statement that the data used in the manuscripts is not fake. 2. Authors should ensure that copying tables, figures, charts or graphs from other sources are properly acknowledged coherently in the in-text and reference sections. Additionally, the text taken as quotation/s from other sources must be given in double quotations (“”) with true page number. 3. Authors should ensure that the manuscripts submitted to the Taleemat have neither been published earlier nor are under consideration in the current and quite similar form in any other journal. 4. Authors are instructed not to use any kind of abusive, insulting or illegal language in any place of the manuscripts or in the process of correspondence. 5. The manuscripts submitted to the Taleemat will be reviewed under the blind peer review process. Upon the submission, the manuscript is sent to the expert reviewers who submit their review reports in a specific time period. Thus, authors are informed accordingly to revise, recheck and resubmit their manuscripts to complete the publication process. 6. Authors and reviewers are expected to have no potential conflict of interest. 7. Authors are ensured that the editors have all rights reserved with respect to reject or accept the manuscript. 8. Reviewers are encouraged to critically review the manuscripts and provide constructive review reports in order to contribute towards the body of knowledge. 9. The content in the form of table, figure, chart, graph, illustration and quotation can be reproduced without any charges but with appropriate acknowledgement. 10. 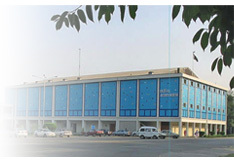 Authors can produce photocopy of their own material with the credit line; “Copyright by the Alumni Association of Institute of Education and Research, University of the Punjab Lahore- Pakistan; reproduced with the permission from the publisher”. Written permission must be obtained to reproduce or reprint material in circumstances other than those described above. The Taleemat strictly follows the policy of original work. It follows zero plagiarism policy. It is the responsibility of author(s) to ensure that there is no plagiarism in the work submitted. Turnitin software is also used to determine any similarity and detect plagiarism. Similarity up to 19% is acceptable. Every author has to submit the Similarity Index Report generated by Turnitin. However, in case of any type of plagiarized work author (s) will be the sole responsible for this act. The Taleemat will not take any responsibility regarding the plagiarism in the paper.